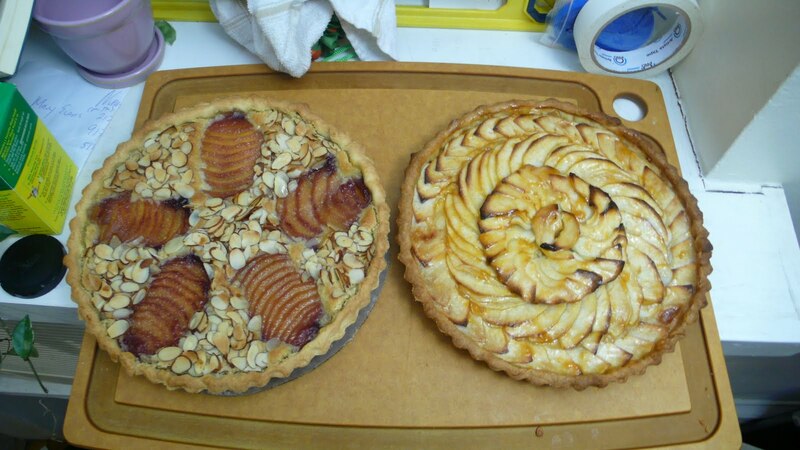 On this rainy sunday i decided to see if i could recreate some of the tartes we made in school at home. except with a few of my own twists! 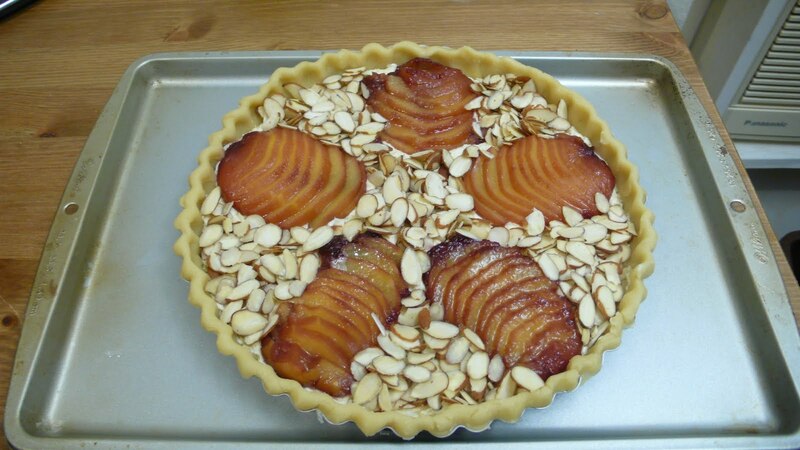 so i made a tarte in same style as a tarte bourdalou, except instead of pears i used peaches. but i did everything the same, i poached the peaches and made an almond cream. it was a little more difficult with peaches because they are a bit softer. and unfortunately one of my peach halves got destroyed when i was trying to get it off of the stone, so i ended up with only 5 peach spokes instead of 6. oh well, i bet its delicious still! 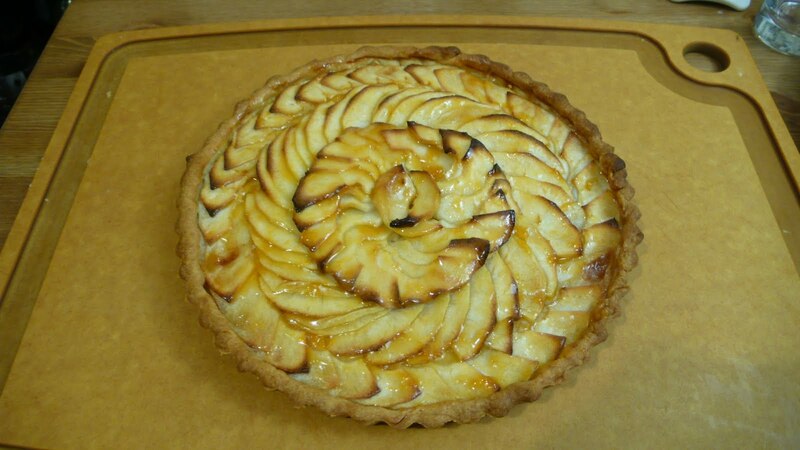 then i made a tarte aux pommes (apple tart). 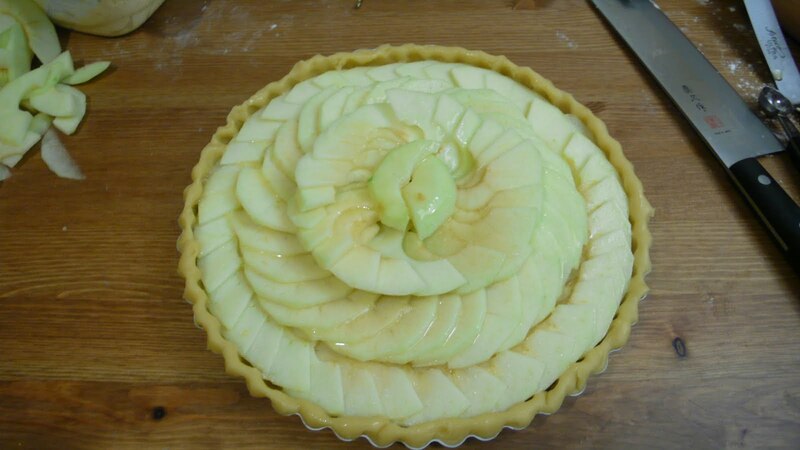 for this tarte for the apple compote i used a sweeter apple so i wouldn’t have to use so much sugar. i cooked it in goslings rum to give it some extra yummy flavor. 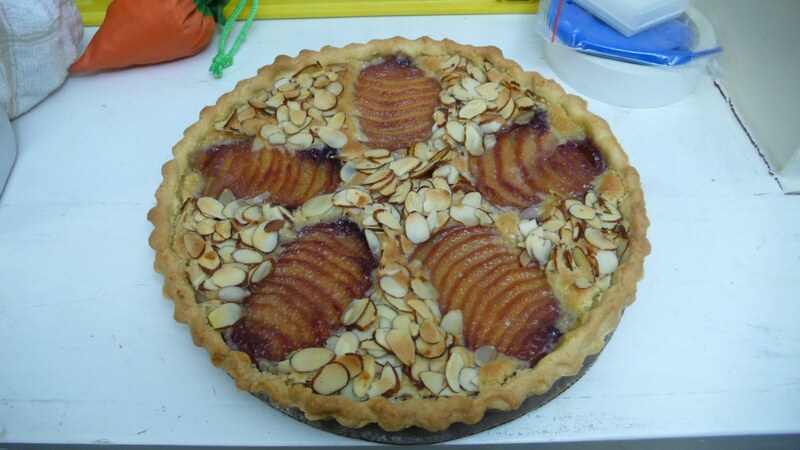 then since i had some almond cream left from the peach tarte, i put some of that on the bottom. on top i used granny smith apples since they are nicely acidic. i cut them up really thin, and arranged them in such a way that i was able to have three spinning layers instead of two. it ended up looking pretty cool.